Keep it colourful this season with this killer crop top. 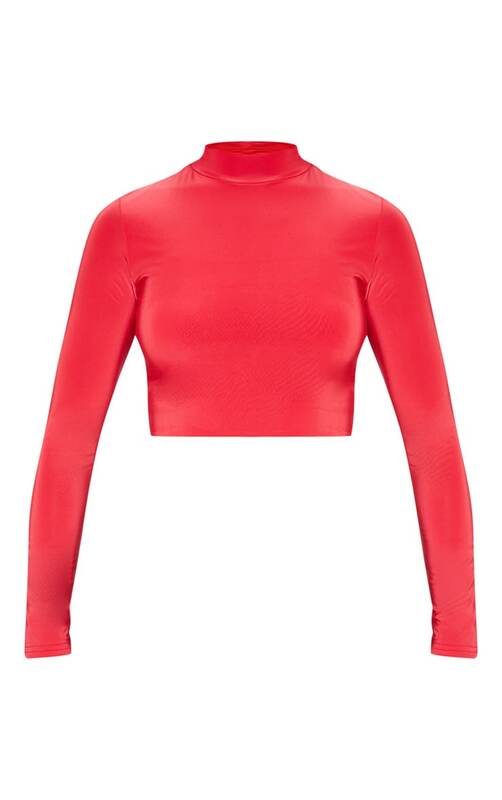 Featuring a red slinky fabric with a high neck, cropped length and long sleeves, what's not to love? Team with high waisted trousers and barely there heels for the ultimate going 'out' out look.